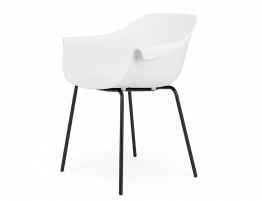 The White Crane dining chair eludes flair with creative vision taking its inspiration from the Orient, it is the perfect, stylish and contemporary chair for any occasion. 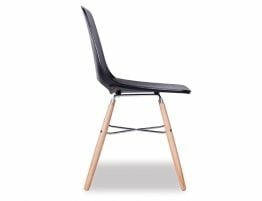 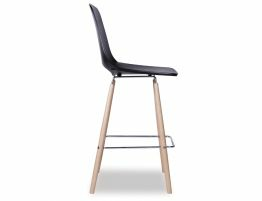 The Crane dining chair is extremely comfortable, suiting any dining space, reception, cafe or breakout area. 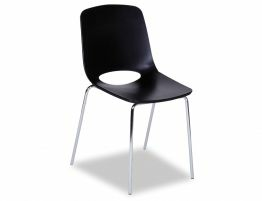 Easy to look after this dining chair is ideal dining chair for both the home or business environment. 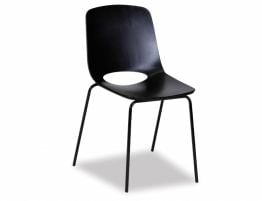 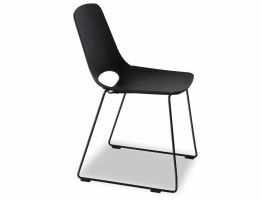 The round curvature of the molded polypropylene White seat provides comfort for every user, while being visually seductive in its overall appearance with its stunning Black powder coated black steel post legs.